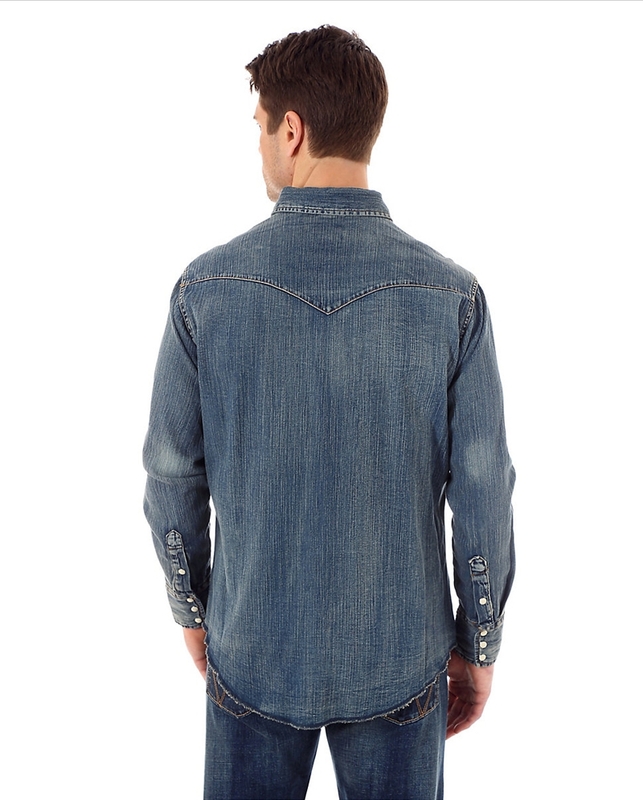 Fabric: 100% Cotton Indigo Slub Denim. 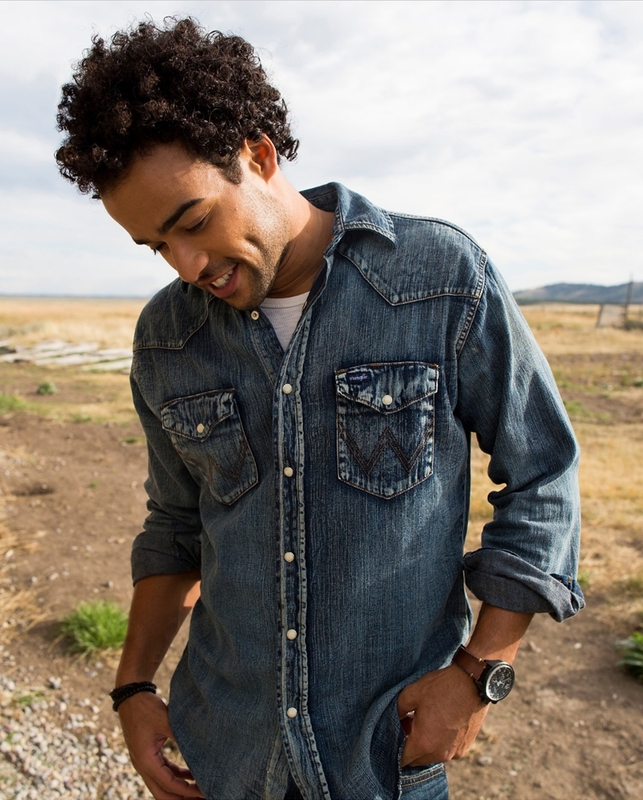 Authentic Cowboy Cut® Work Western Shirt. Long Sleeves. Spread Collar. Authentic Western Front and Back Yokes. Two Authentic Western Spade Flap Snap Pockets with Snap Closure. 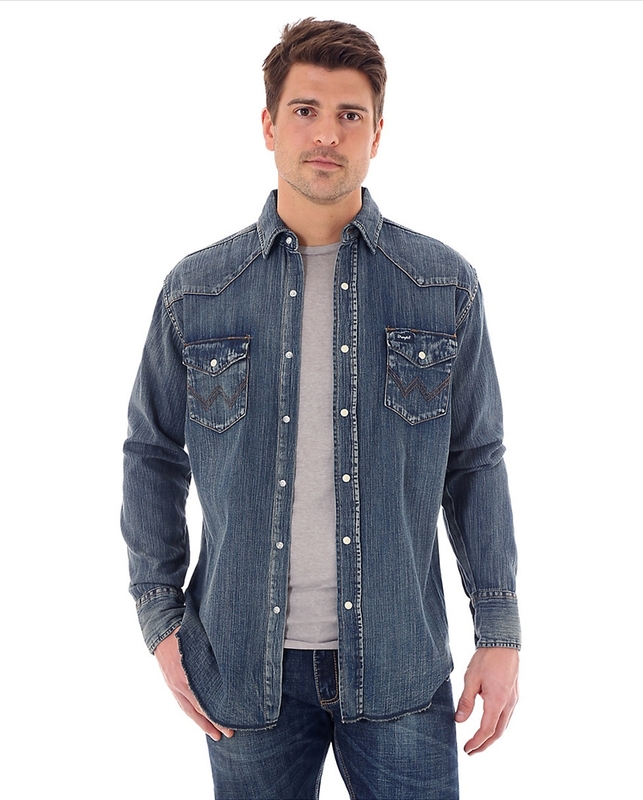 Wrangler® Logo Ribbon Label on Left Pocket. Pencil Slot at Left Pocket Flap. Wrangler® "W" Decorative Logo Stitch on Pockets. Authentic Western Three Snap Cuffs with One Snap Sleeve Placket.